It’s a well known fact that Social Media is an extremely powerful marketing tool that is capable of building brand awareness, increasing your company’s visibility, establishing credibility, as well as generating new leads. However up until recently doctors, medical students, medical centres and other health organisations have been reluctant to try the new community building and marketing medium due to the heavy restrictions and regulations on advertising and marketing in the medical industry. Social Networking is an important strategy for marketing success in today’s world and the medical industry is the perfect niche to take advantage of the strong community building afforded by social media. Relationship building with a community network has the ability to provide you “word of mouth” referrals, warm leads, speaking opportunities, and helps to continuously position you as an expert or leader in your industry. A social media agency that takes on clients from the medical industry whether it is a health centre, medical centre or practice needs to have a clear understanding of those restrictions and be able to work within those guidelines and delete any comments that would come within the restriction and regulations while still creating engagement, conversation, and community on their social media profiles. Healthcare providers operate within extremely strict regulatory guidelines when it comes to marketing and communications. The fear of those regulations and the lack of guidance are sidelining these organizations. Specific to medicine are concerns about professionalism and confidentiality that arise when the boundaries between work and personal life are blurred. However by not participating in social media, healthcare companies are missing out on important opportunities to increase their online presence, and engage with their customers. It is highly recommended to our healthcare clients that they work closely with their legal team to create a clearly defined social media policy. This is to ensure that all regulations are met and comply with the Australian Medical Association, social media guidelines released on PDF early this year as a joint initiative of the AMA, NZMA, NZMSA and the AMSA. Are You Maintaining Professional Standards Online? These guidelines could be used in almost any online business situation, and used as best practice general guidelines for all, although the examples and regulations would differ. “The rules of confidentiality are strict, and making remarks in any context which breach confidentiality is wrong,” says Andrew Dix, NSW Medical Board registrar. He doesn’t believe the problem is common in Australia but he has heard of other isolated incidents. One other challenge for medical social media, is unsolicited testimonials for certain products and drugs being posted on social media, if these comments appear on the walls of a medical brand page or profile it is an immediate violation of TGA guidelines in Australia and must be deleted. Social Media, like blogging, has opened new avenues for doctor advocacy and public health promotion and education, and the building of a community around a practice or centre and can act as a venue for the dissemination of alerts during times of health crises and other health initiatives. 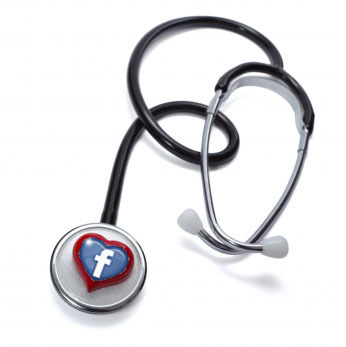 Medical Social Media is a specialist field requiring a social media agency that understands the unique challenges of handling the community pages, and with a good grounding in customer care as most social media pages and profiles become a prime place of interaction between the business and the community. Working closely with the medical practice or centre is a must and training staff on the policies and requirements as well as how to use social media is a must as those entrusted with posting and/or commenting and answering queries from clients and patients must know what is allowable and what is not. Once a medical practice or centre is working with their social media agency of choice they can rest easy knowing that they can safely build a community around their practice and provide education, announcements, alerts, answers and a sense of community bonds that can only result in high retention of patients and word of mouth recommendations within the community.